Hi guys, I ‘ve been a little busy with work and I have not been able to update the site in recent days . 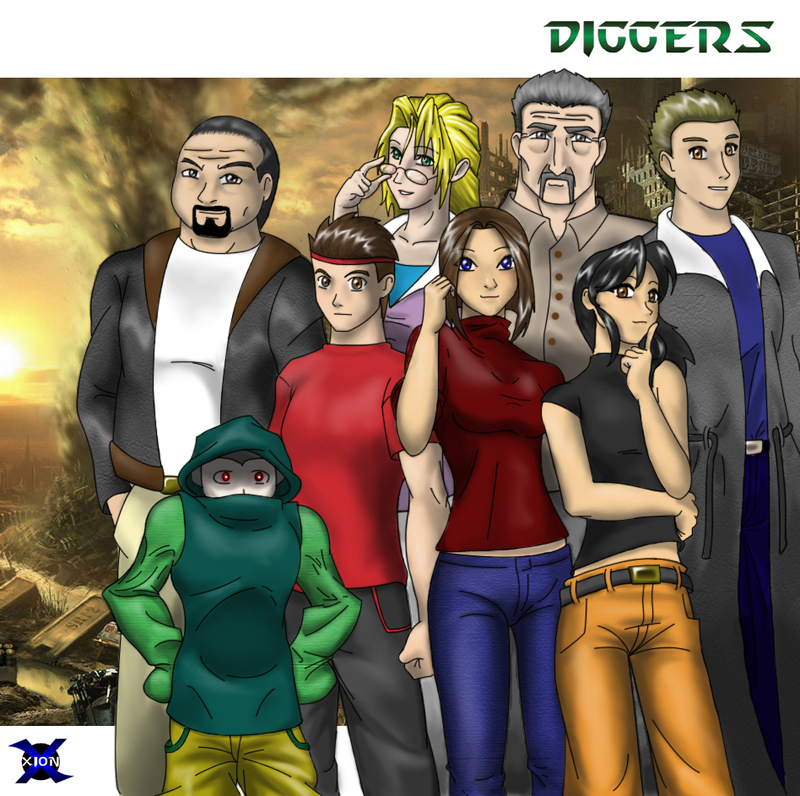 Today I bring you another early drawing from Diggers , the D’Marco team. The background was not made by me, it was taken from internet, created by an unknown author ( If anyone knows please tell me to put it in the credits) . Of course , as you can see , this picture does not have much quality , I still didn’t manage Photoshop as well as I would like and I had no tablet. In any case I hope you like it.